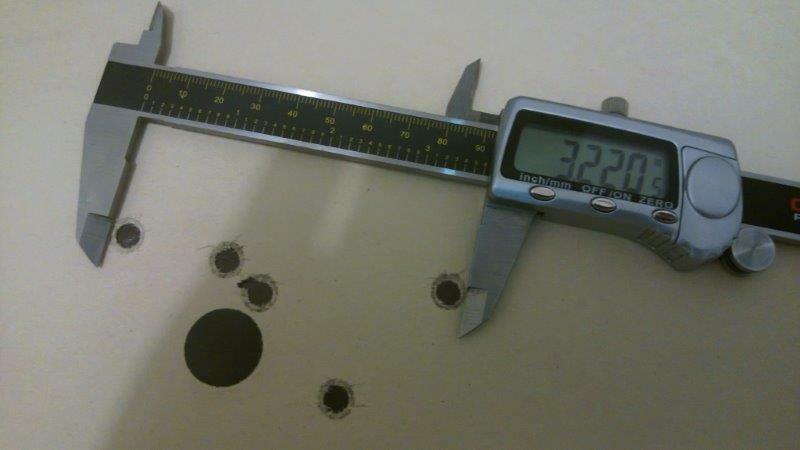 A few months ago I bought a curious pistol of CZ 75 design. 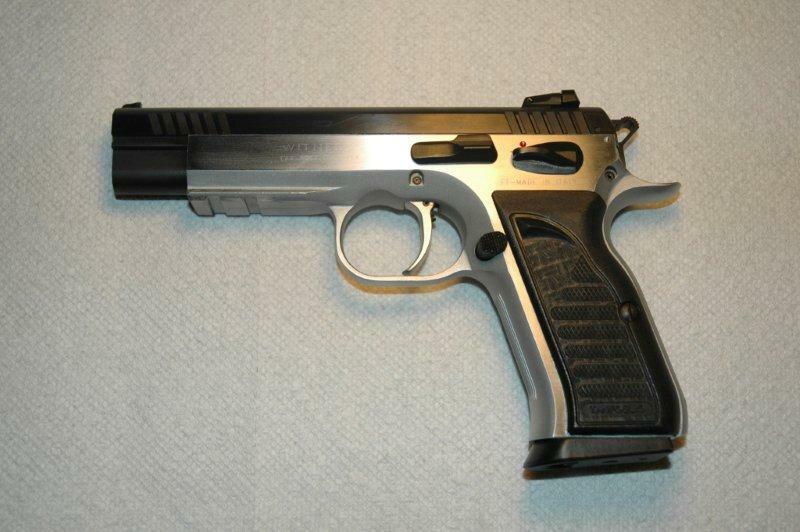 It was made in Italy by Tanfoglio, and imported by EAA and branded Witness Match. 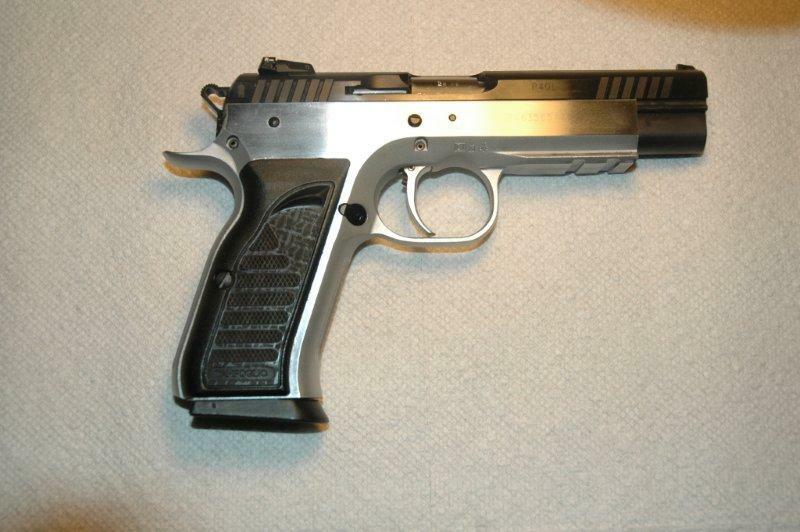 Very little information exists about this pistol on the Internet, so I figured I will do a review of it here. 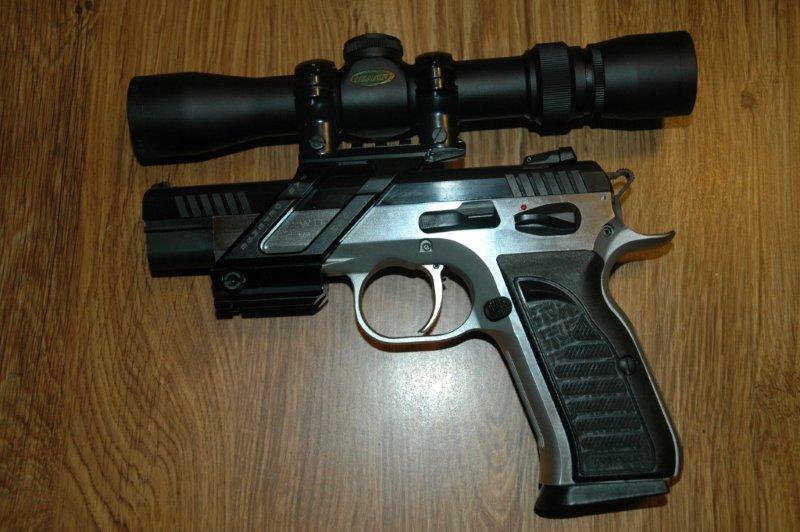 Witness Match (we will use the American name for it) is available in a number of calibers. 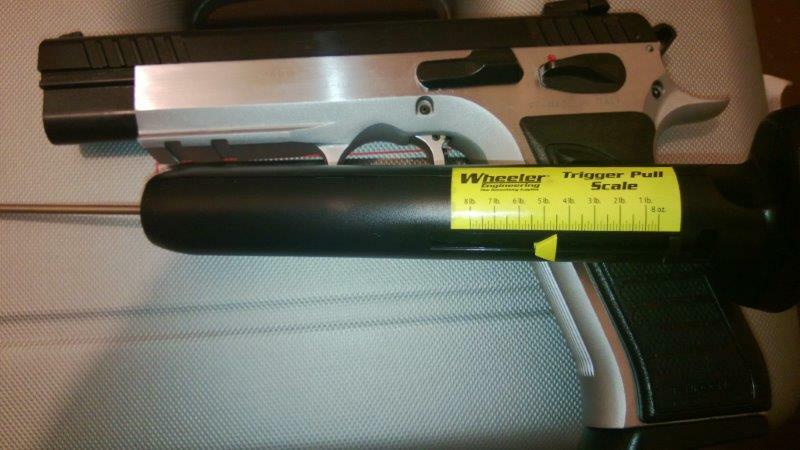 Mine is a 40 (because I like the caliber). 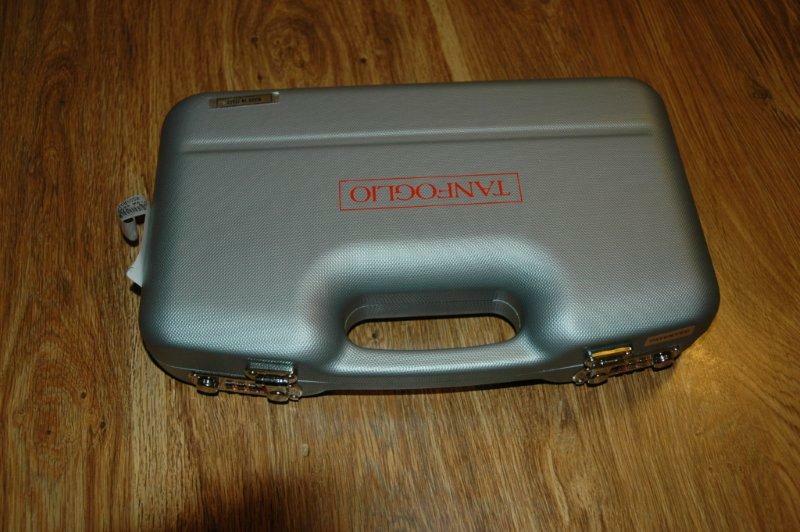 The pistol has the most beautiful box I have ever seen coming with a production pistol. 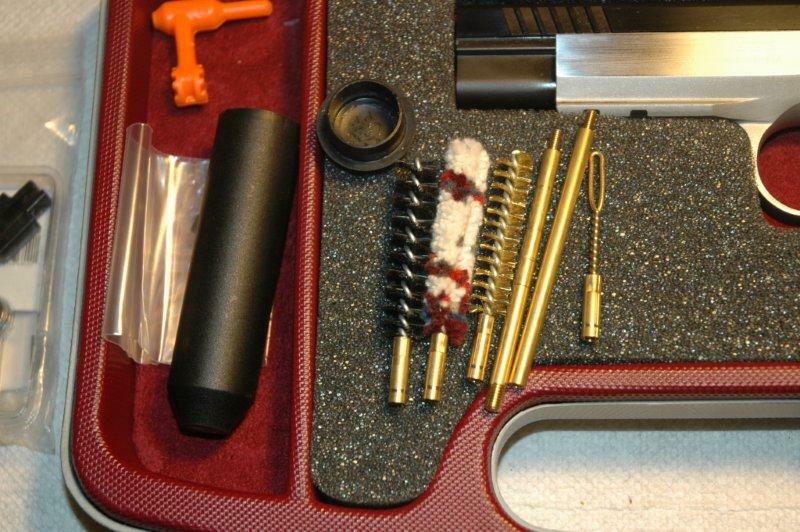 In addition to the pistol itself, the box contains a pretty fancy cleaning kit. 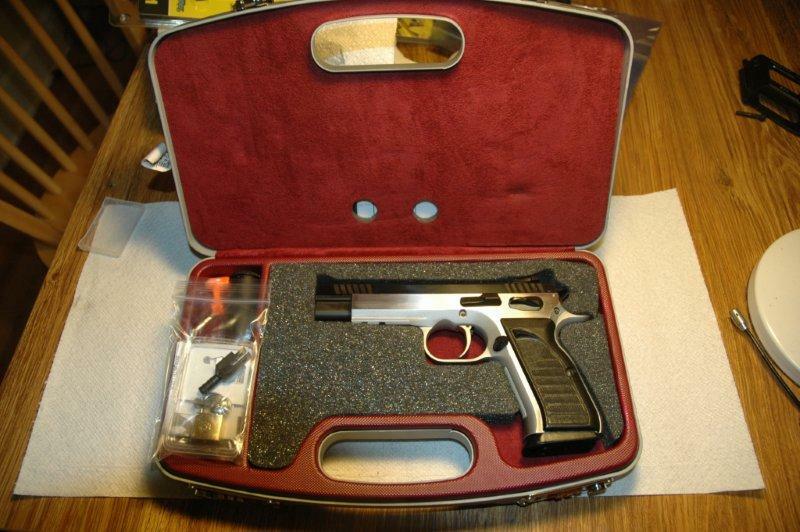 The pistol itself has a bright chromed finish, blued slide, and polymer grips. 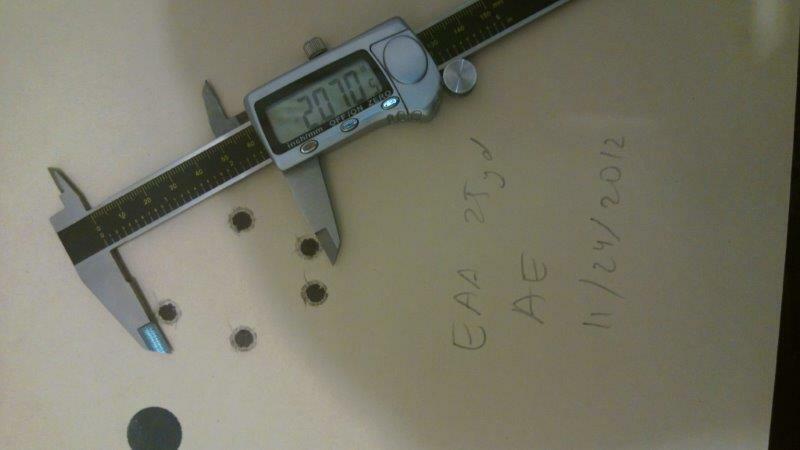 All controls are the same as on a CZ 75. 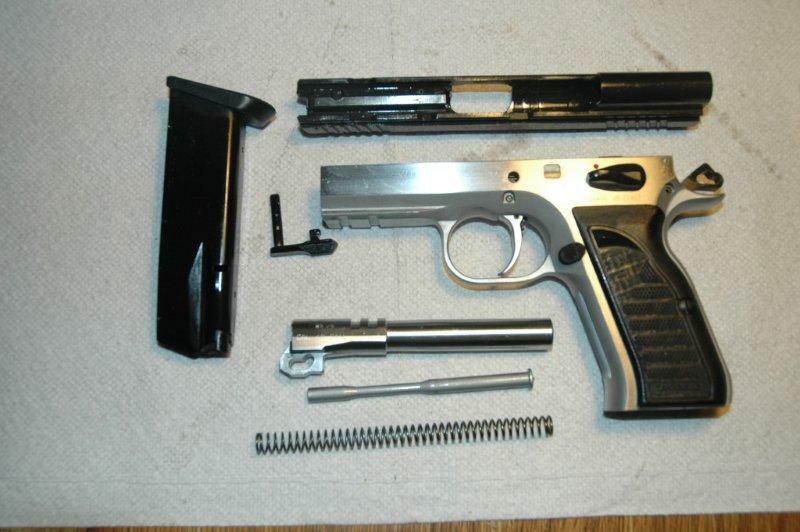 The insides are reasonably close to CZ as well, with some nice upgrades, such as a full length spring guide rod. 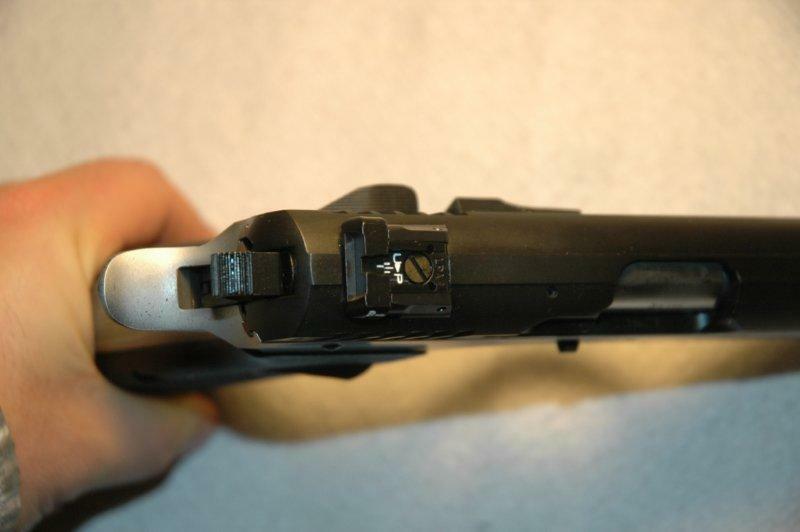 It has nice, fully adjustable sights. 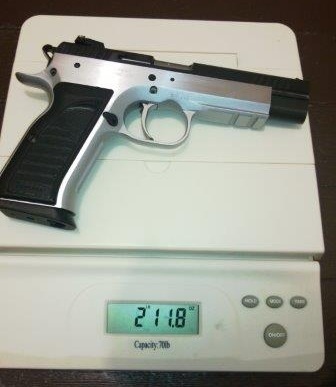 And with all-steel construction, the pistol is appropriately hefty. 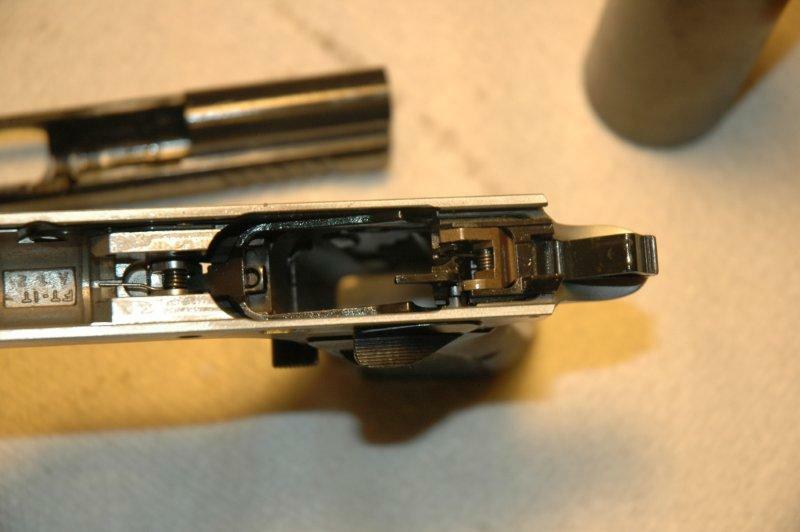 The single action only trigger is nice, crisp, and breaks at 4.5lb. 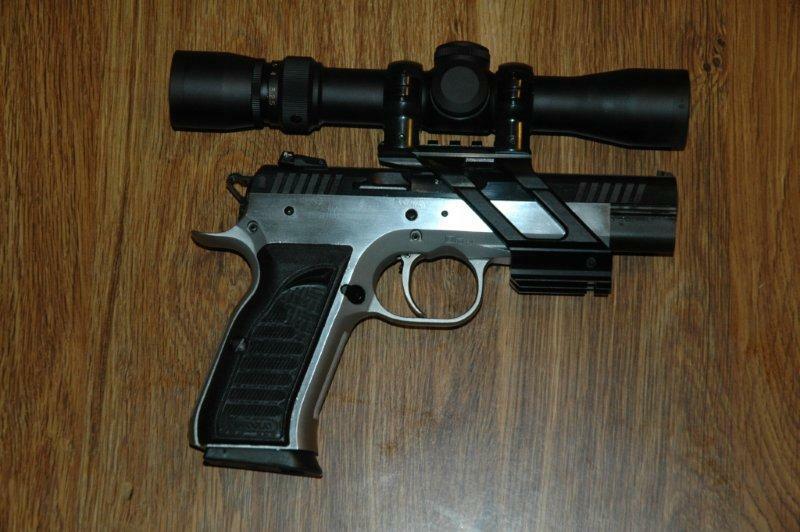 Nicely, the pistol has a rail, and the Mako scope mount fits it like a glove. I have not yet finished the load development. 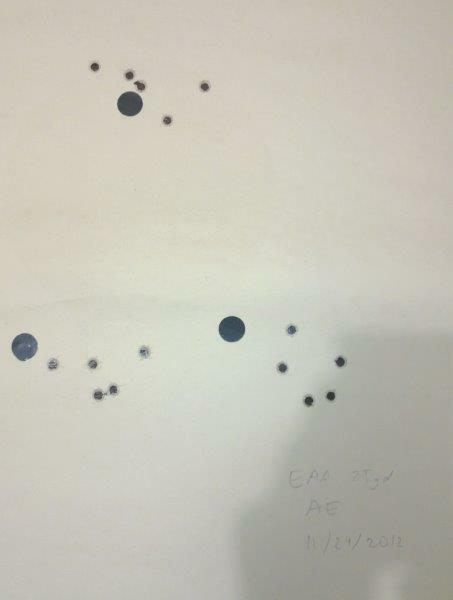 But trying it with American Eagle ammunition produced groups in 2.5-3" range, fired supported, with the scope, at 25 yards (the caliper is adjusted to show center-to-center distances). 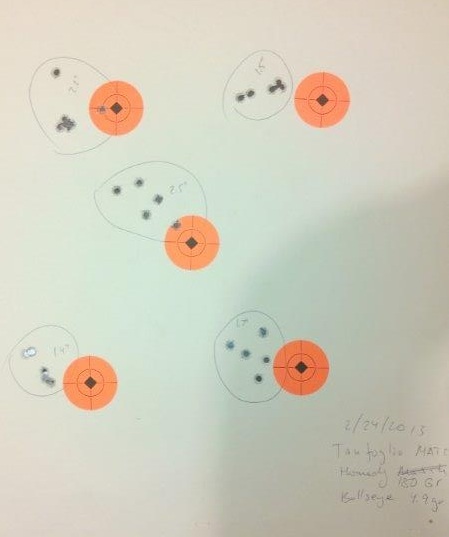 Handloads with the minimum powder charge (4.9gr Varget + 180gr Hornady HAP bullet) fared better, producing 2.2", 1.5", 2.5", 1.4" and 1.7" 5-shot groups at 25 yards. I am going to complete the load development and post the results when ready. Check back soon! For a relatively low price (street price should be somewhere between $550 and $600), it is a beautiful and accurate pistol with a nice set of features. 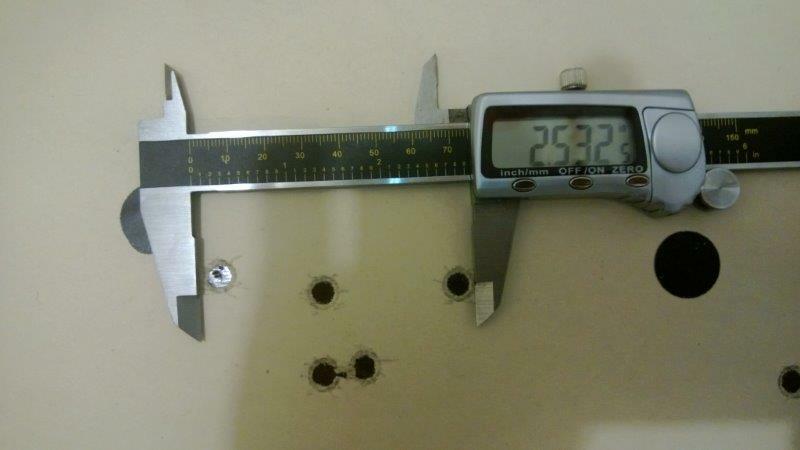 I would prefer it to anything in this price range, including possibly even a genuine CZ.